Tucked away in the rugged and arid Aravallis, Pushkar is one of the important pilgrimage destinations in India. Famous for the Pushkar Fair, the city attracts a number of tourists every year. 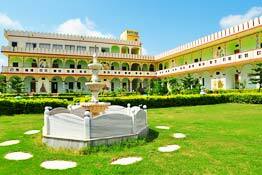 The heritage hotels of Pushkar have preserved the glory and grandeur and even the flavor of royal lifestyle which allure the guests who wish to have a regal vacation. 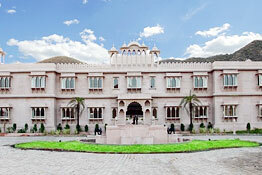 Heritage Hotels in Pushkar reflects the glory and grandeur of the Rajput era. Magnificent palaces and Havelis, the heritage hotels in Pushkar bring back the memories of the royal Rajput era. Intricate designs, elegant mansions and the vintage charm are the intrinsic factors of the heritage hotels in Pushkar. During the post independence period a number of royal families had to submit their estates to the Government for some amount of annual pension. This amount was not quite enough to maintain their lavish lifestyles and palatial mansions. So many families turned their magnificent palaces or Havelis into heritage hotels. 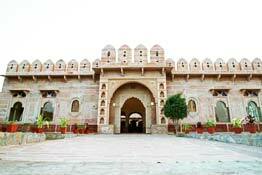 The heritage hotels in Pushkar are quite a class apart and depict the rich and glorious past of Rajput history. 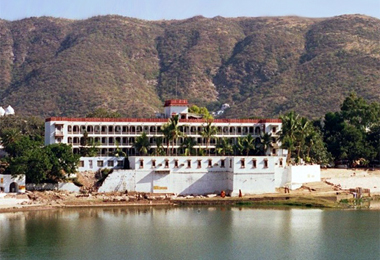 The heritage hotels in Pushkar bear testimony to the extravagance and splendor of the bygone eras. Unwind during your royal retreat in the heritage hotels in Pushkar. From well furnished rooms with the royal interiors to the lavish antique furniture, chandeliers, photographs and anecdotes to the royal luxury and comfort, the heritage hotels in Pushkar are the cozy comfort zones that recall the golden period of Indian history.